And sometimes we avoid it altogether. But if you have a strategy to deal with the blank page, you can start writing immediately and keep the relationship on good terms. That’s where song plots comes in. They’re outlines that give your song sections a basic premise that you can flesh out in your lyrics. The main point is to pick a song plot and use it. Commit to it and let it guide you past the blank page. These song plots have as few words as possible so they won’t have a stranglehold on your creativity. But you’ll see how powerful they can be when it comes to presenting your song ideas. During the chorus, you describe the way things are. And in this song plot, the way things are is negative. Why can’t you use this song plot with a chorus that has a positive message? Because if you were to say, “I’d like things to be great and I’m hoping things change, but things are already great,” then people won’t understand why you want anything to change! As you can see, these song plots help you create a logical flow to your ideas. This song plot describes the way things used to be negative during the verse. You can see how the idea in the verse contrasts the chorus, which describes the way things are positive now. These first two song plots fit most song titles and give you something to write about and a direction to take your song. 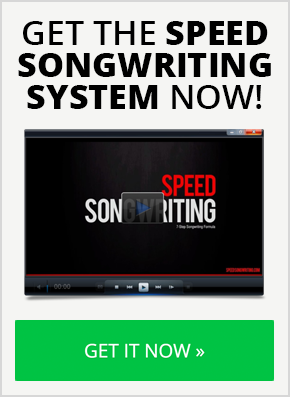 These song plots provide the premise and basic outline of your song. The interesting details come later as you write lyrics that relate to the outline. Pick a problem and write it away! The trick with this song plot, because you’re moving around in time, you have to be very careful that you keep to the same tense in each section. Otherwise, listeners will be confused about what’s happening and when. Song plot #4 is an excellent starting point for song titles with action in them. With these simple outlines, you have lots of room to explore your feelings and what causes them. Beliefs make great chorus material. So when you come up with a song title that’s a belief or an opinion of some kind, check out this song plot and see if you can flip it around or say it in another way to make a great bridge. In the verse, describe the journey to the location. There’s lots of room for interesting details, like the reason for your journey, who you’re traveling with, or entertaining situations that happened along the way. In the bridge you can compare the location to other locations. Describe how it’s better than, worse than, different than, or the same as other locations. You have the entire world to write about. This is an example of a song plot that doesn’t need a prechorus or a bridge. What makes each section unique is how they contrast each other. You probably see how you can mix and match song plots to come up with new ideas! This song plot is great for creating conflict and contrast between song sections. Maybe you want to be a dancer but you’re clumsy. Maybe you want to be a superhero but you’re a janitor. If you bite your nails, don’t do that! 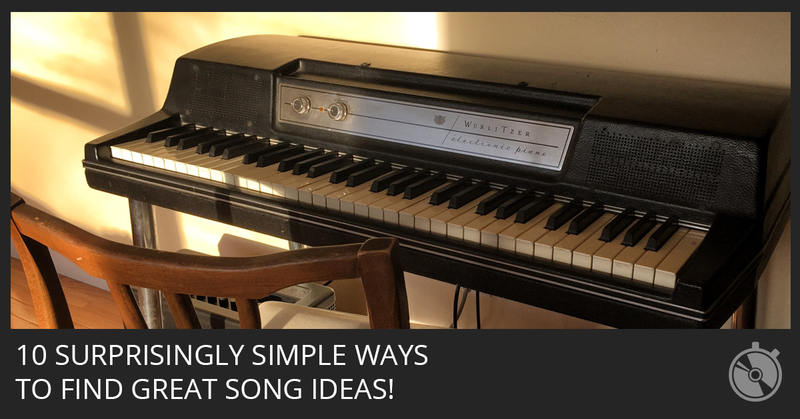 10 Surprisingly Simple Ways To Find Great Song Ideas! 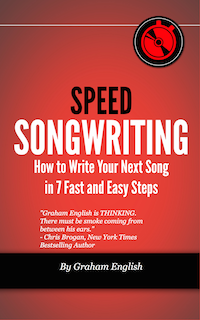 You took a deep dive into developing song plots and you can see how these simple outlines give your songwriting a clear direction and purpose. When you need something to write about, song plots give you a way to get started. They help you continue writing by giving your song sections a logical direction. And song plots help your listeners understand what your lyrics mean. Take these song plots and exercise your song idea muscles, just as I have in this post. With just a little experience, you can come up with interesting song ideas in 60 seconds or so. Take one minute and give yourself something to write about right now. This is such an inspiration for lyrical writing – I cannot express my thanks enough! These song plots are great, thank you. I’d love to see some example songs of each so I can see then in action! 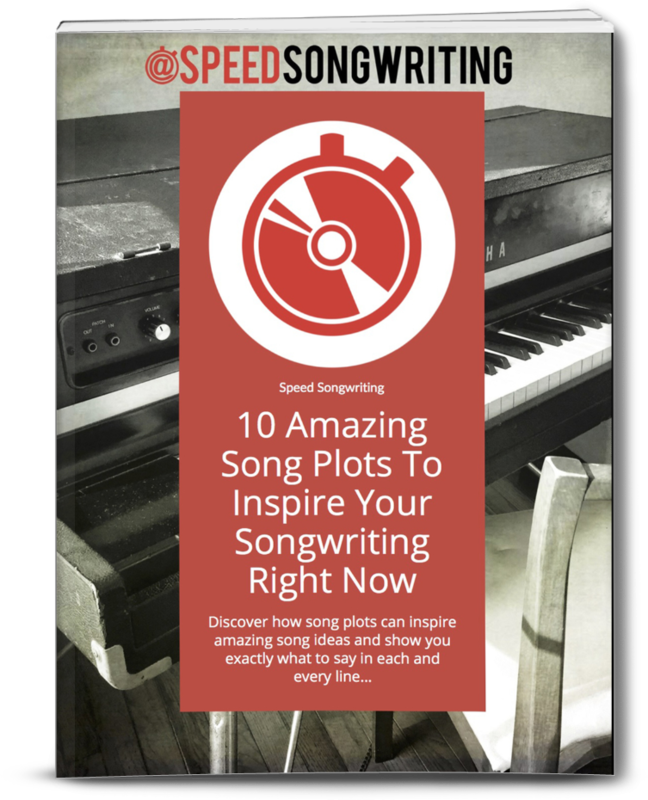 10 A﻿MAZING SONG PLOTS: ﻿FREE﻿ PDF! 10 Amazing Song Plots To Inspire Your Songwriting! 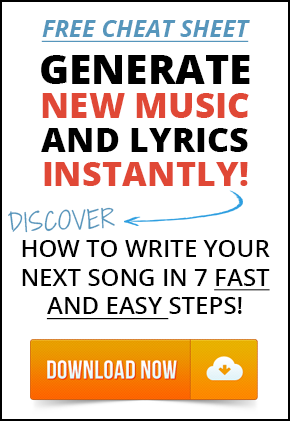 USE THESE SIMPLE SONG PLOTS TO ﻿END﻿ WRITER'S BLOCK FOREVER!